I find our ability to adjust to our current situation in life, be it health or circumstance, fascinating. 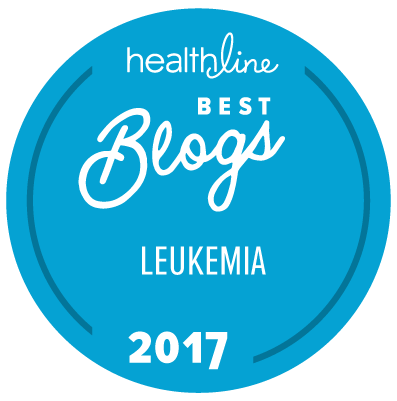 Since being diagnosed with Chronic Myelogenous Leukemia, two and a half years ago (Feb. 8, 2011) I have apparently adjusted, in my opinion, quite well, to living with a chronic cancer. Since there is no alternative, I attribute my adjustment to plain old “human nature” and optimism. The fascinating part of this adjustment is how seamlessly a chronic illness creeps in; and sets up shop. It arrives with a bang; “You have leukemia” and then begins to ebb and flow. You have good days and bad, just like you did prior to your diagnosis; the exception being that you do not seem to bounce back quite as quickly as you used to. Life in general takes a bit more effort and the things that you used to find effortless, now require digging deep, into your reserved pool of energy. You begin to settle into your new normal with absolutely no recognition of the disappearance of your old one. You do not even realize that the person that you once were has been forever changed. It is with the arrival of a mild case of Pleural Effusion and a nasty case of Bronchitis, I find myself on a Sprycel vacation. It is during these, such vacations that I visit my “old” self. It is during this time that I realize that CML has done more than wreak havoc on my body; it has also held a part of my very being captive. It does so in such a subtle manner, that I do not even realize that it has happened until I am off of my medication for several days. This realization comes to me, despite being sick and miserable, when I begin to cry; and the reason that I am crying is because I am SO happy! I feel my “old” self, creeping back into my soul, and the joy that I feel, makes me cry. I know that this may sound crazy to many, and I really do not know how to explain this “feeling” but for me, it is like reconnecting and saying hello to the person that I was prior to CML. Oddly enough, I do not feel sad or depressed when I am taking my medication; I do not realize that a part of me is missing. I do not realize that a piece of my puzzle has fallen to floor, and been kicked under the rug; only to resurface during my unexpected Sprycel vacations. This is the second time that this realization has come to the surface, this time even more prominent than the last, and it is this realization that has me giddy today, yet sad for the day in which I must resume my daily regimen of Sprycel. Sprycel is a drug that allows me the opportunity, to continue to enjoy the wondrous journey that we call life. It is a medication that buys me time, time that may someday result in a cure for CML. It will be a day that those of us living with CML, will celebrate. We will celebrate the survival of our journey and the return of our lives without side effects, doctor appointments, lab tests and bone marrow biopsies. We will celebrate a cancer free body and all of the experiences that have lead us to this day, and most of all, I will celebrate the return of me; the person that I so rarely get to enjoy and experience any more. I know how you feel. I love taking my Gleevec vacations. We need a day or two off to remember living normal. Or what used to be normal for us. It's kinda' sad, huh? Even my husband commented, "You know, I have sure missed you!"